Experience the collegiality, energy and creativity that defines life at Finlaysons. Our unique program stands apart from the rest. Offering the perfect balance between guidance and independence, it is structured to keep you engaged whilst promoting your natural talent for innovative thinking. Working alongside some of our most talented and recognised practitioners, in their areas of expertise, on real matters for real clients your learning experience offers you an insight as to how the practice of law is conducted in the real world. You will be offered a 12-month contract working 3 days per week with the flexibility to accommodate your ongoing study commitments. We typically recruit our graduates from our program, so if your clerkship is successful you may be offered a graduate position upon completion, as well as the opportunity to work casually while completing your studies and GDLP. We pride ourselves on a genuine learning experience that is a continuing commitment to the development of our people, woven into every aspect of life at Finlaysons. We have a comprehensive on-boarding program, as well as opportunities to become involved in regular tailored skills building sessions, internal CLE sessions, and access to our practice group training and business skills training sessions. Your toolkit of expert coaches and buddies to guide you through a range of learning opportunities, job shadowing, and hands-on experience will enable you to quickly become equipped with the resources required to become one of our future talents. Our program will nurture your professional growth in ways that are entertaining, as well as informative. We strive to support you both professionally and personally. We support a work/life balance and encourage participation in our health and well being program and sporting, community focused or personal interests. We have fun and celebrate our successes. We hold regular firm and social club events, and you are always welcome to join your colleagues for Friday evening drinks to wind down at the end of a busy week. We want to work with accomplished individuals who have hobbies and interests away from work, so think about what makes you stand out from the crowd. We are committed to the principles of workplace diversity and equity which includes recognising, respecting and valuing individual differences. We encourage candidates from all walks of life to apply. You will need to be able to manage a varied workload, whilst maintaining an appreciation of the complexities, all of which provide the foundations of excellent client service. Your Cover Letter, CV and Academic Transcript can be submitted online at Finlaysons Career Portal. Discover what’s possible. Surround yourself with professionals who want to foster your growth. Successful applicants will be invited to an informal forum to hear from our current clerks and participate in an information sharing session to find out more about our unique clerkship experience. Afterwards, introduce yourself to and network with our senior practitioners. Following the Meet & Mingle, a select group of applicants will be invited to attend a formal interview from which our 2019 / 2020 crop will be chosen. “Clerking at Finlaysons has been an invaluable and rewarding experience. Everyone in the litigation team has been extremely helpful and are more than willing to invest time into training clerks. Practitioners allow clerks to get involved on files which means that I have gained valuable insight into how litigation progresses. Further, there is an extensive “on-boarding” program to help clerks understand the firms systems and processes and ongoing clerk training sessions. The clerk training sessions have been extremely useful as I have found that they teach practical skills that I have used every day in the workplace”. 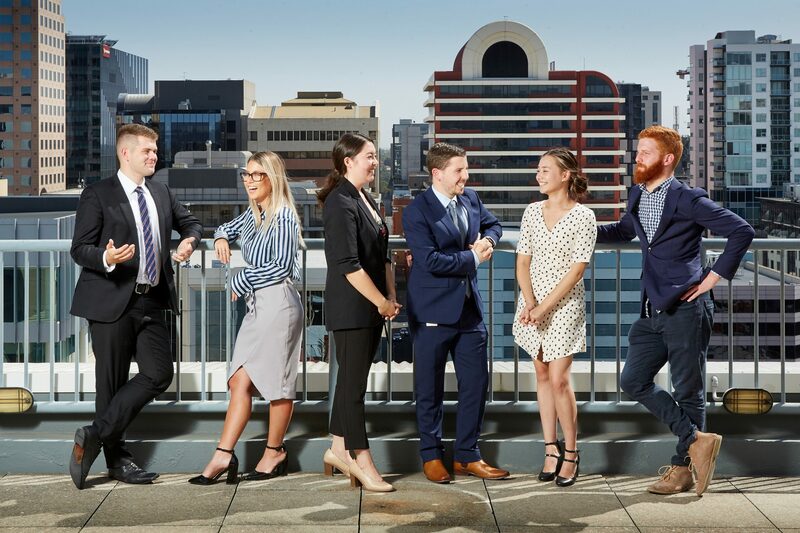 “The Finlaysons clerkship program is a fantastic educational opportunity for those looking to gain insight into life as a young legal professional. The experience is challenging, yet profoundly rewarding, with clerks rotating through four departments under the guidance of experienced buddies and coaches.